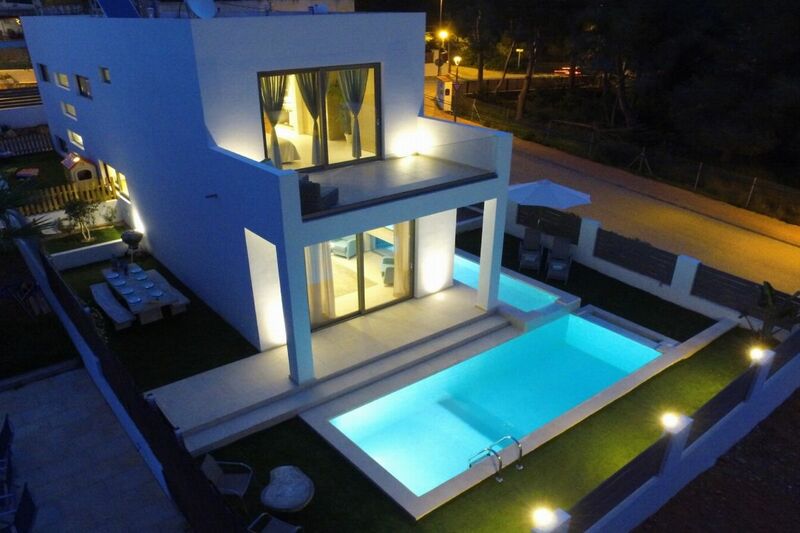 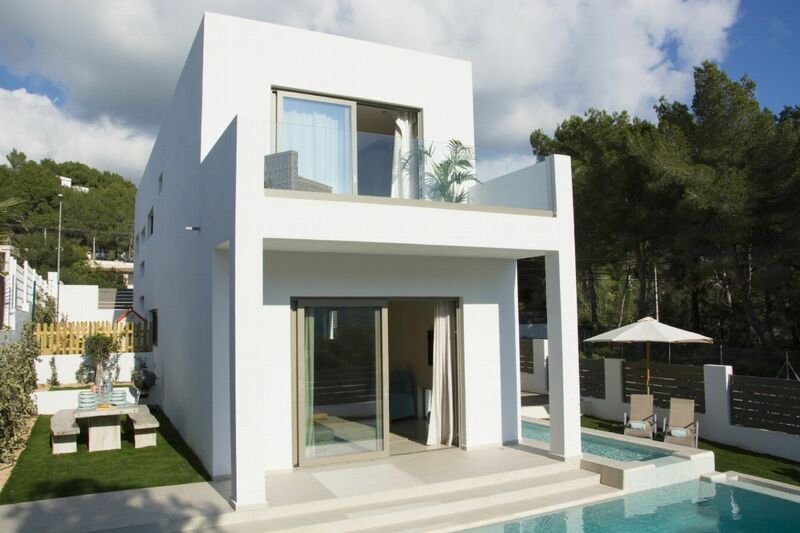 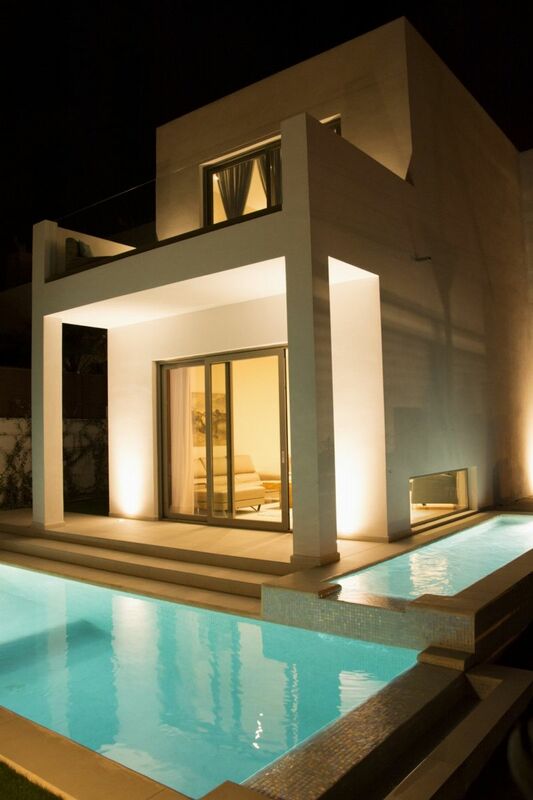 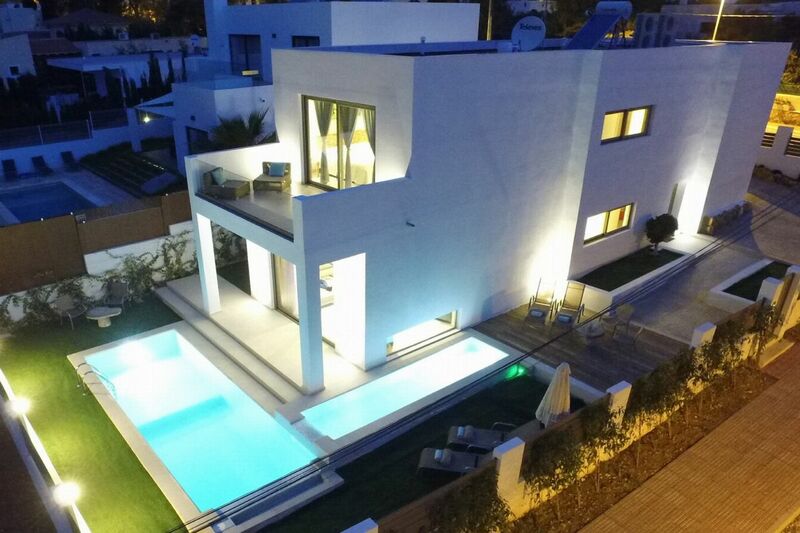 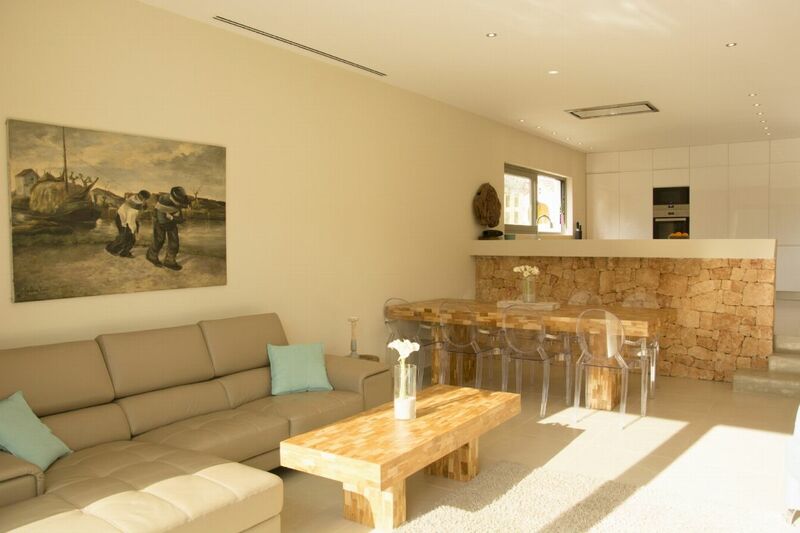 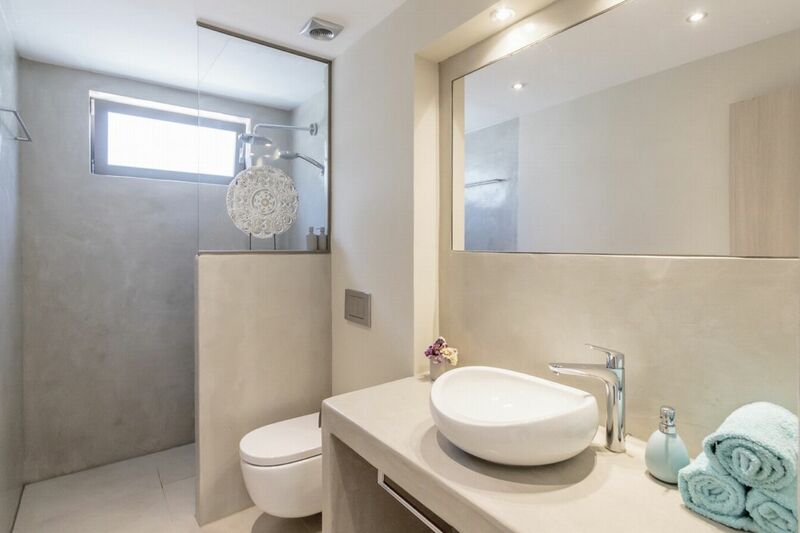 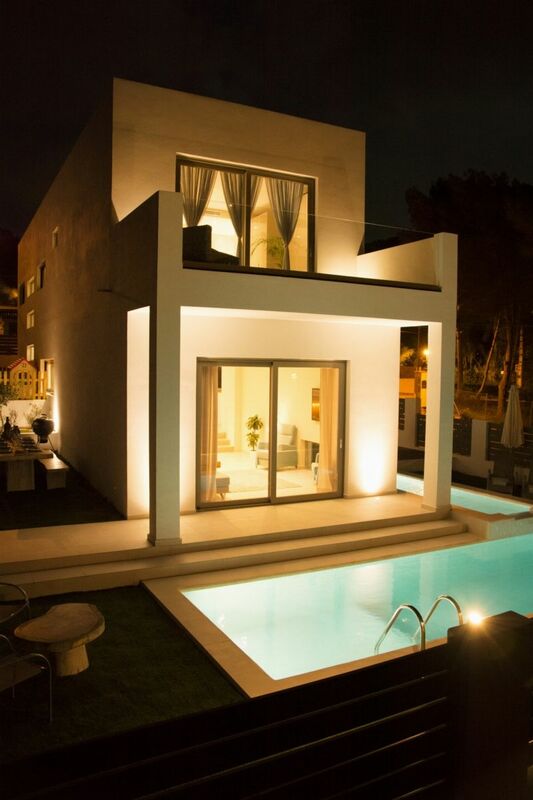 Modern new build villa within walking distance to Cala LlongaÂ´s beach. 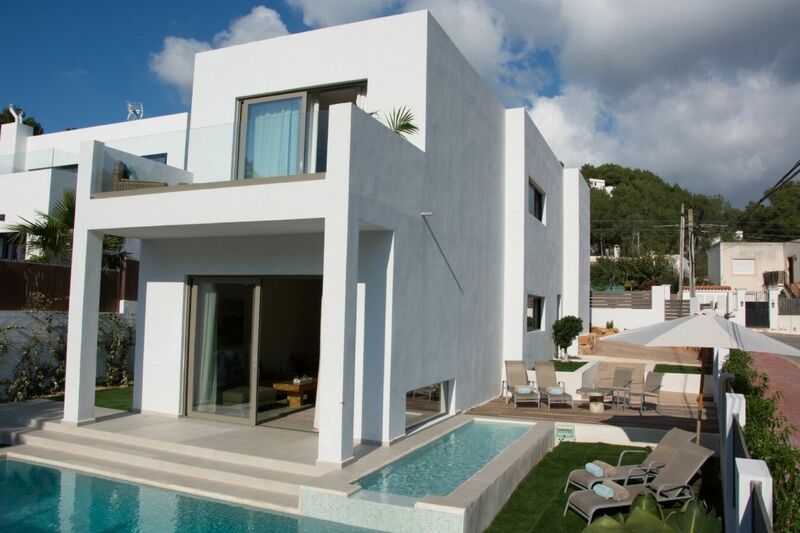 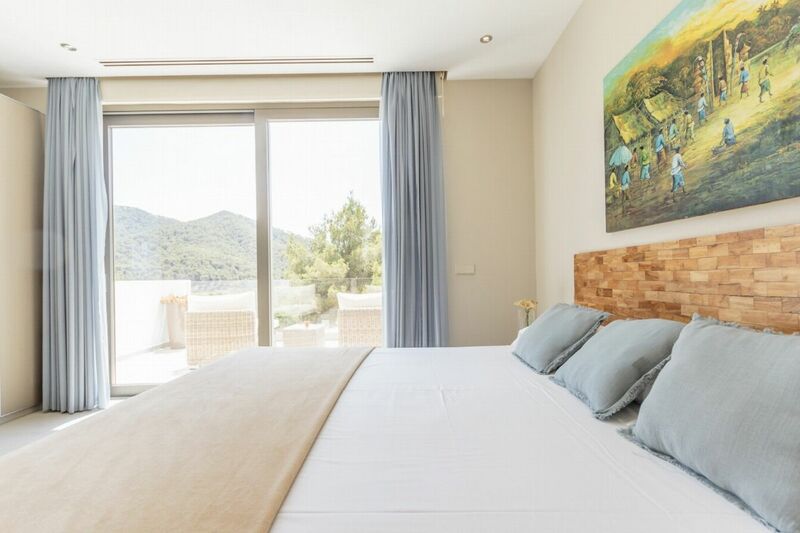 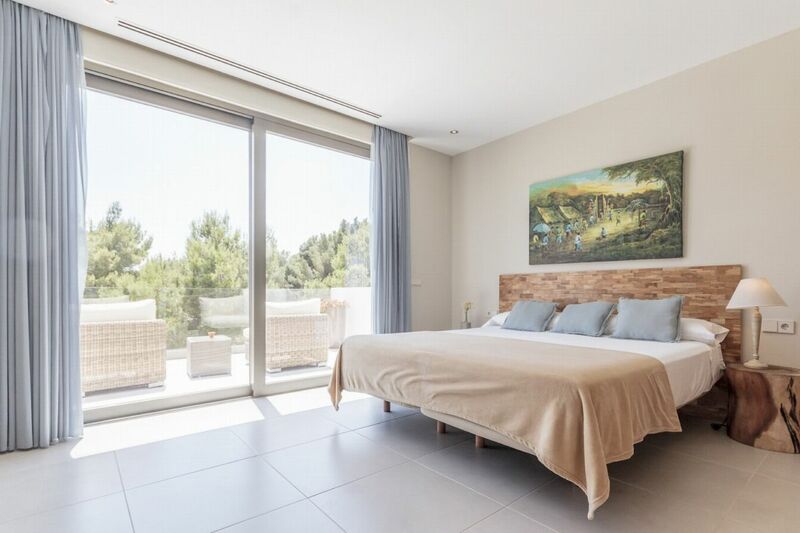 Modern villa in walking distance of Cala Llonga beach Ideally located in the attractive village of Cala Llonga, youâ€™re within easy walking distance of the popular horseshoe-shaped beach at Can Koby. 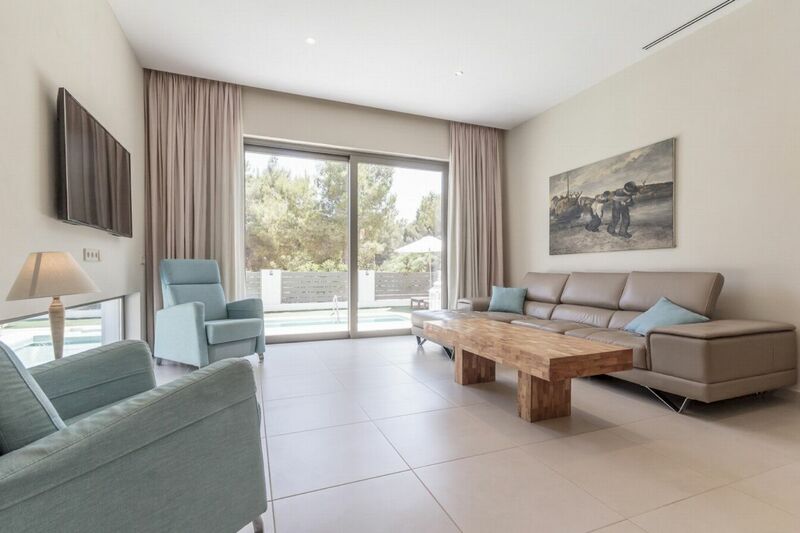 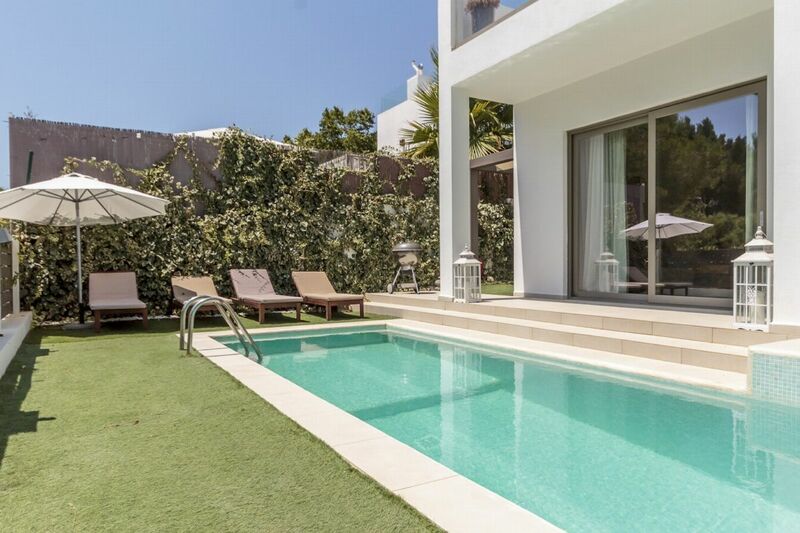 This modern villa is located on a corner south-facing plot, giving you a bit of added privacy and a wonderful south-facing pool. 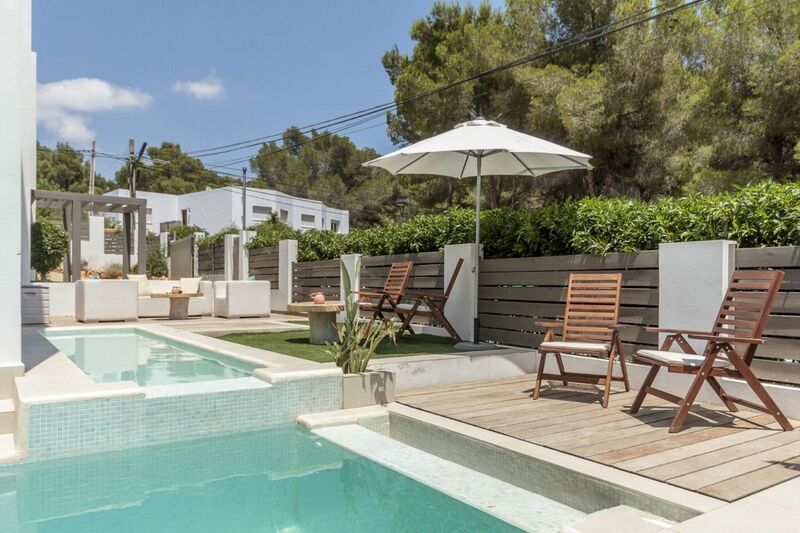 The L-shaped pool is bathed in sunshine all day. 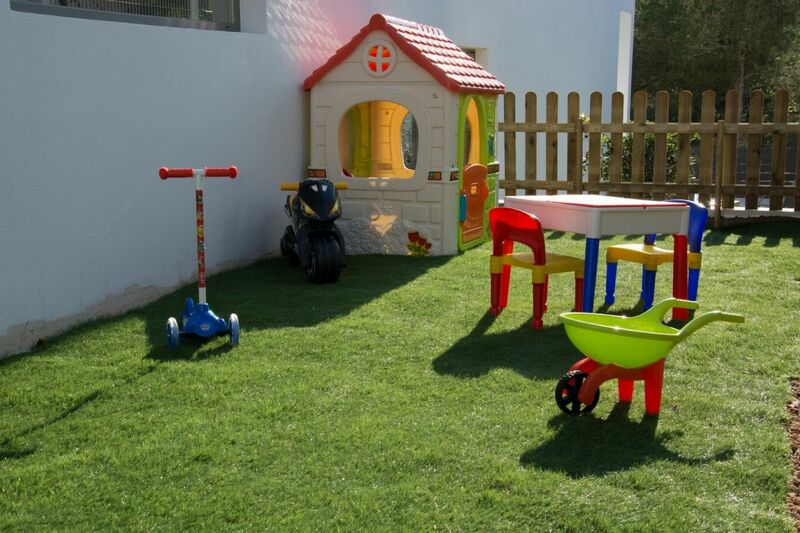 The two stretches of the pool have different depths, with the shallower strait ideal for toddlers or young children. 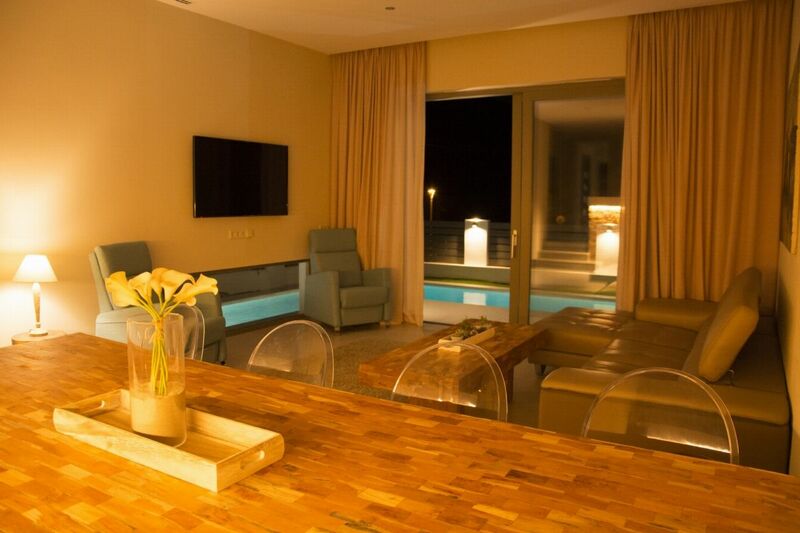 Relax close by in loungers or laid-back poolside lounge seating. 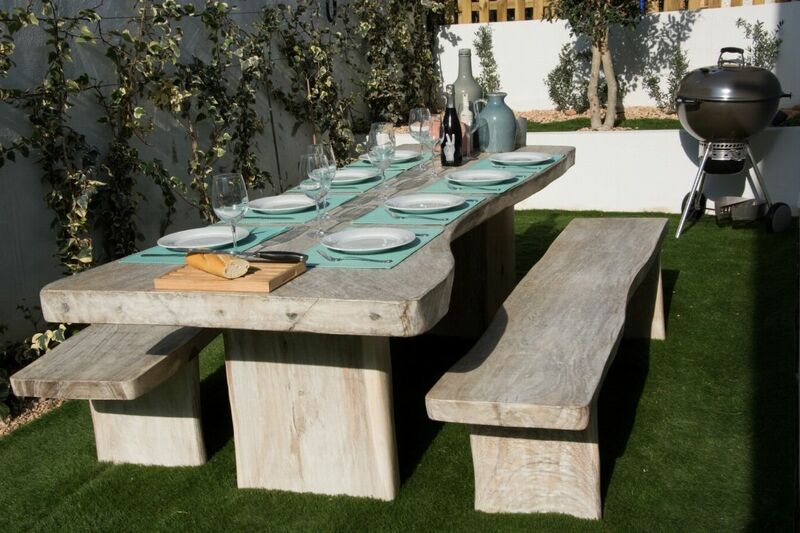 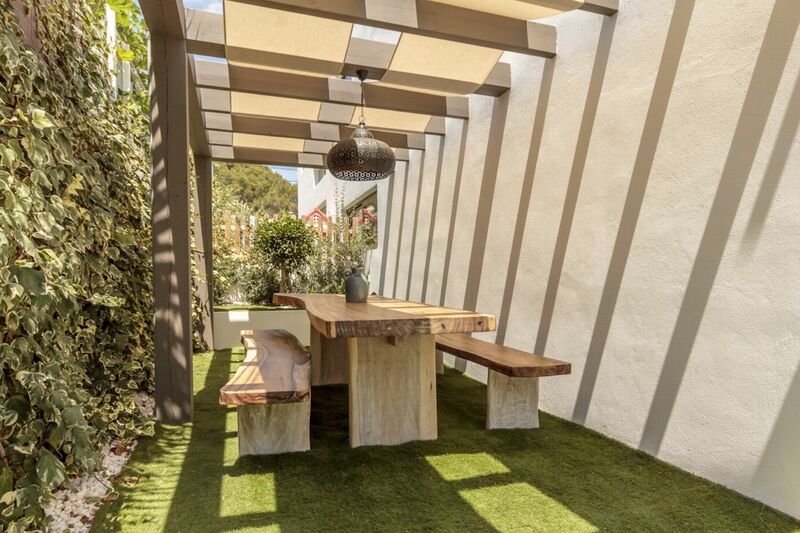 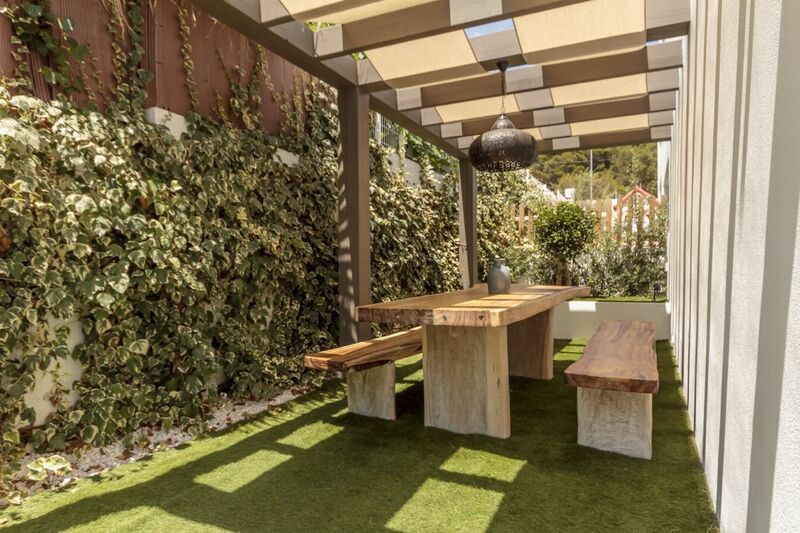 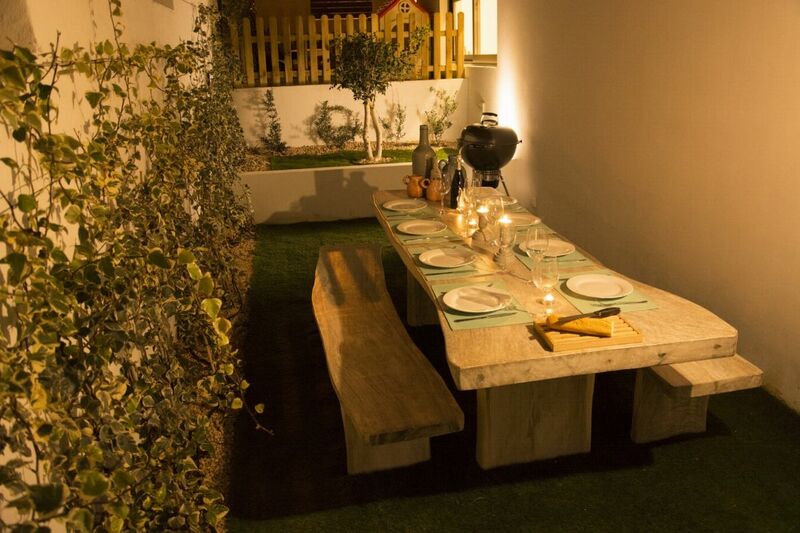 To the side of the property, thereâ€™s a sheltered dining table with bench seating and a barbeque â€“ perfect for al-fresco entertaining. 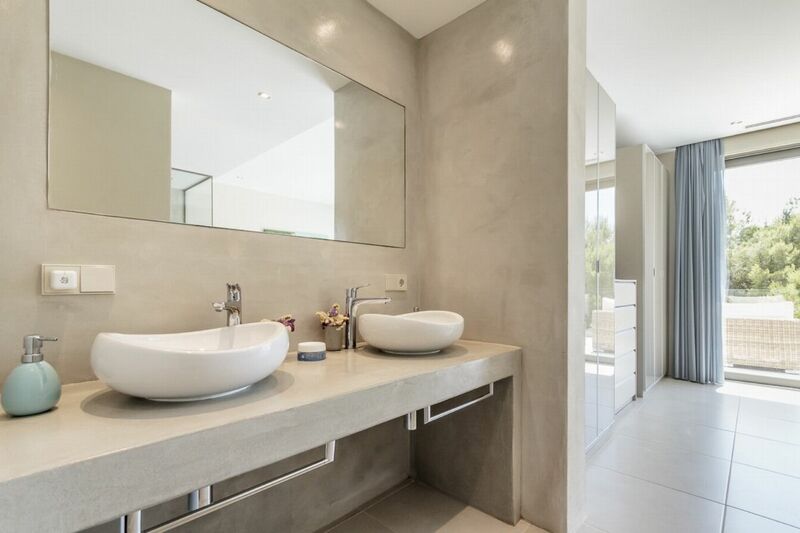 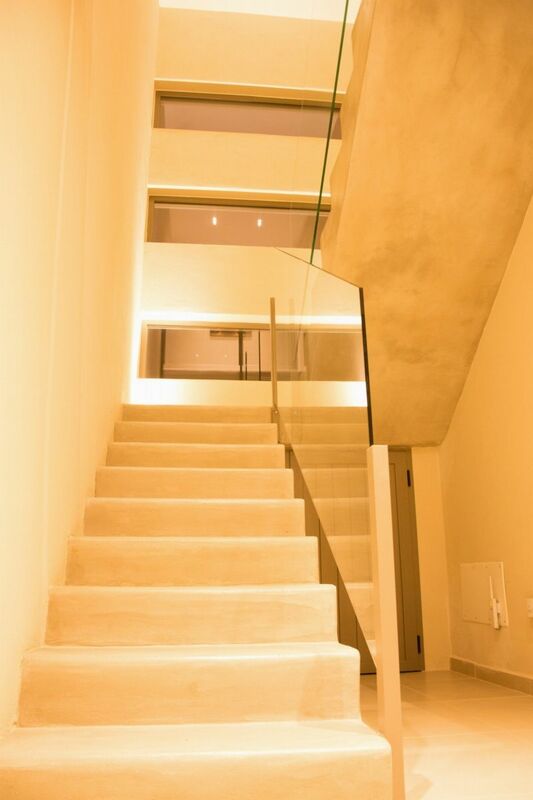 Inside, clean neutral tones predominate. 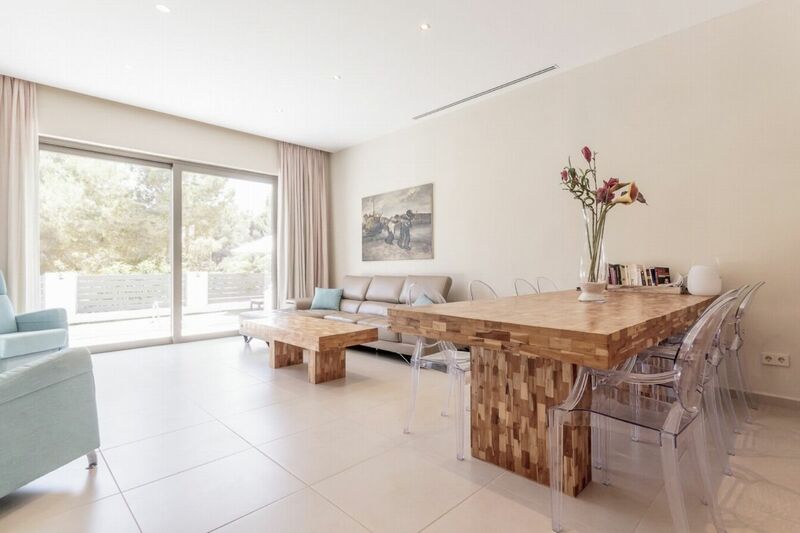 Light floods though the wide glass doors into the spacious lounge and formal dining space. 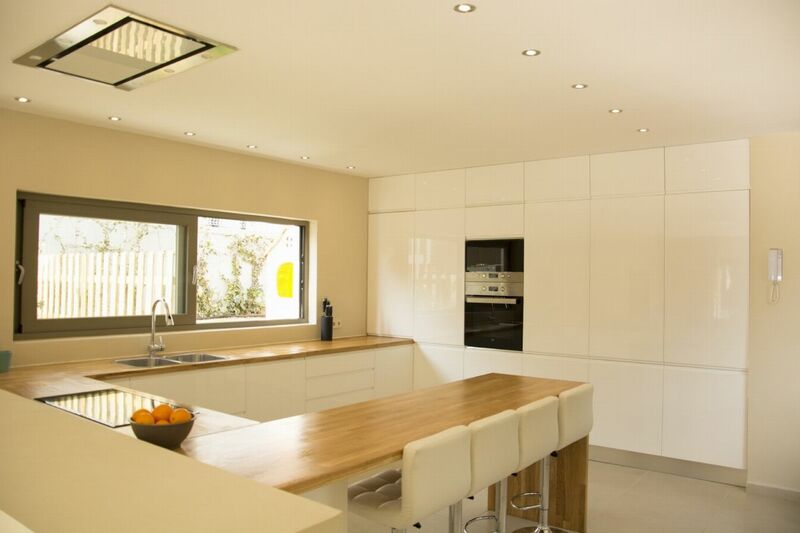 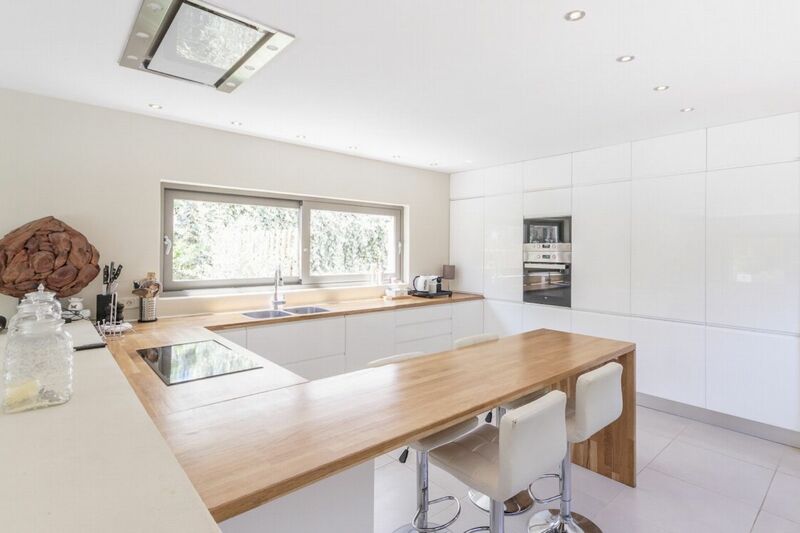 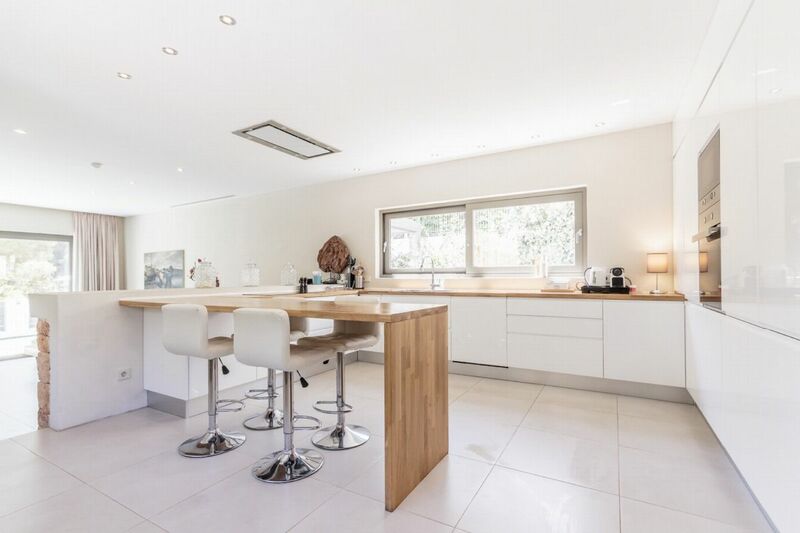 The large, well-equipped kitchen features a sociable breakfast bar if you fancy a more informal dining option. 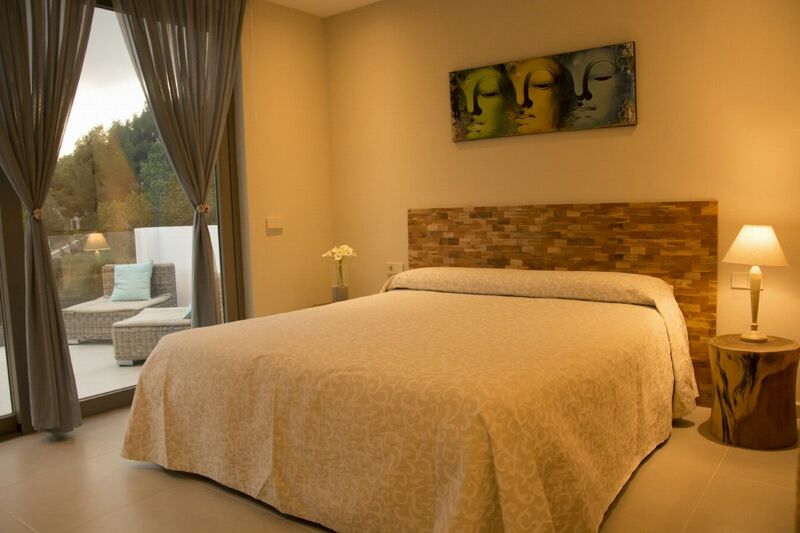 Upstairs, the master bedroom makes the most of the south-facing gardens with a large private terrace. 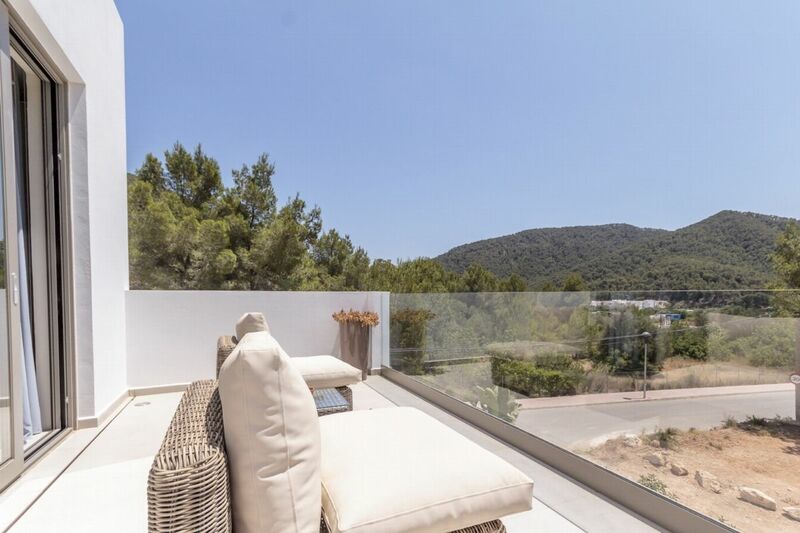 Itâ€™s a wonderful spot to relax and enjoy the views across to the pine-clad hillsides. 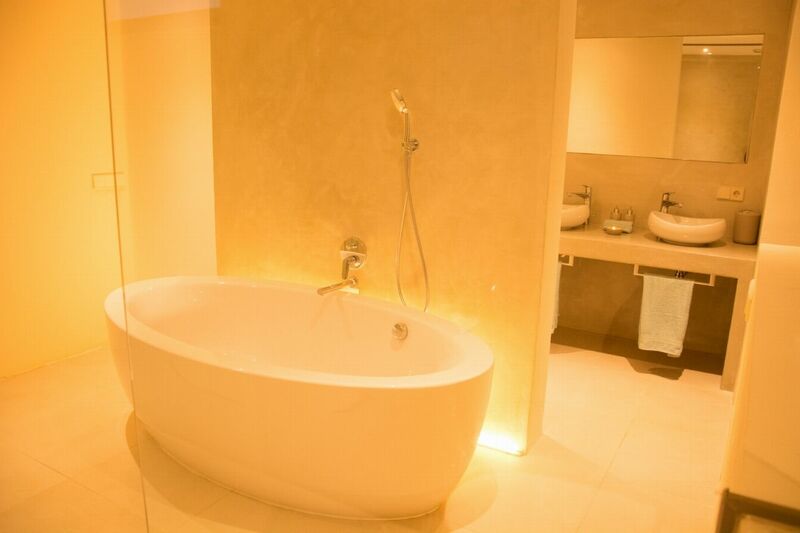 The masterâ€™s generous en-suite has a bathtub. 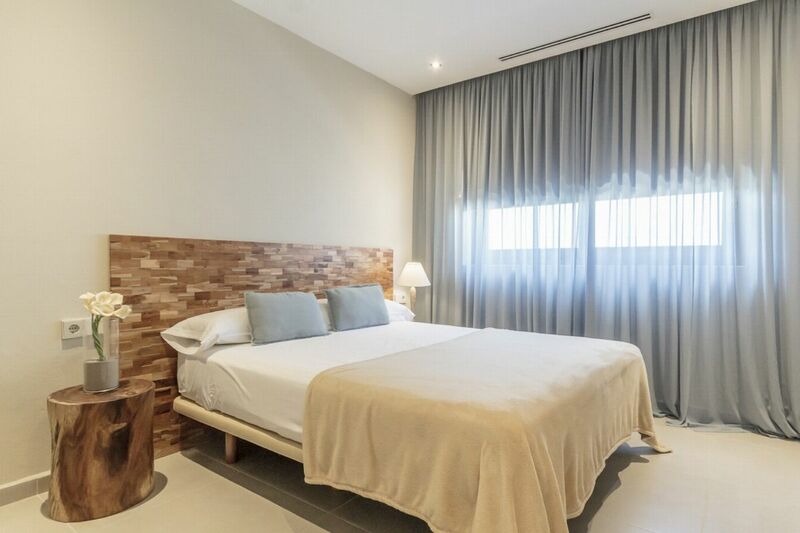 There are three comfortable double bedrooms in the same stylish neutral tones which share the 2 family bathrooms with walk-in showers. 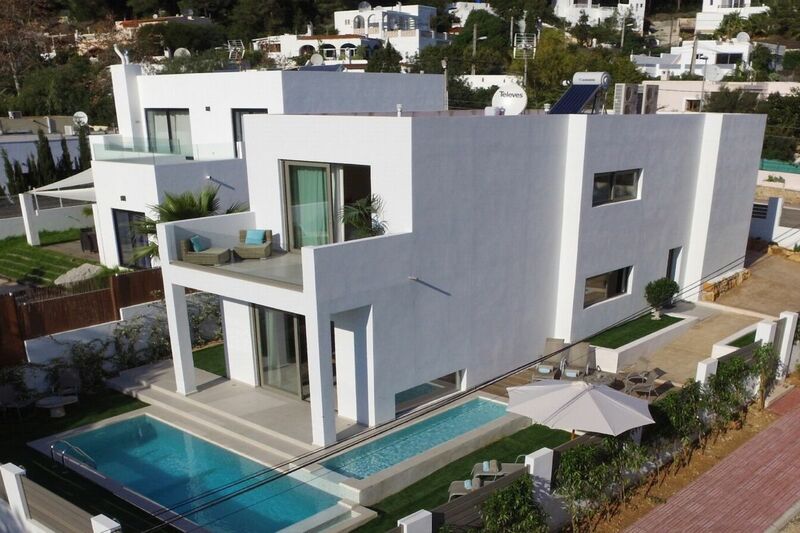 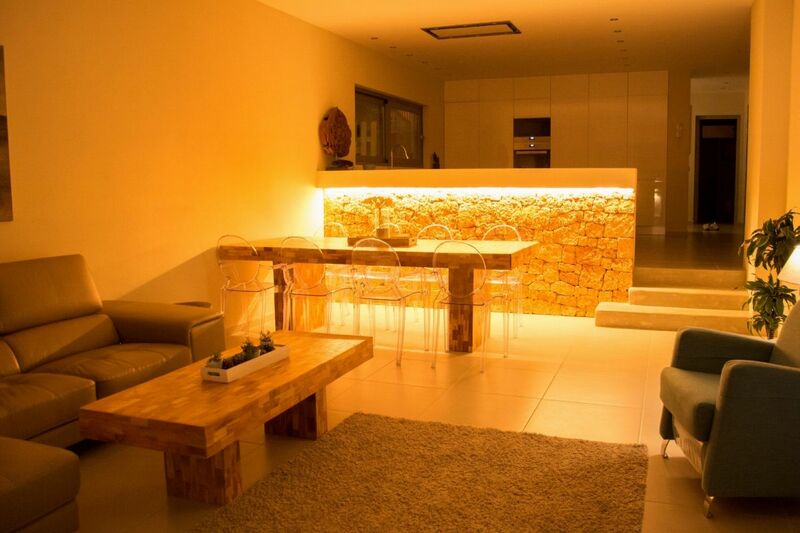 A fantastic Ibiza villa close to the popular beaches of Cala Llonga and Santa Eulalia. 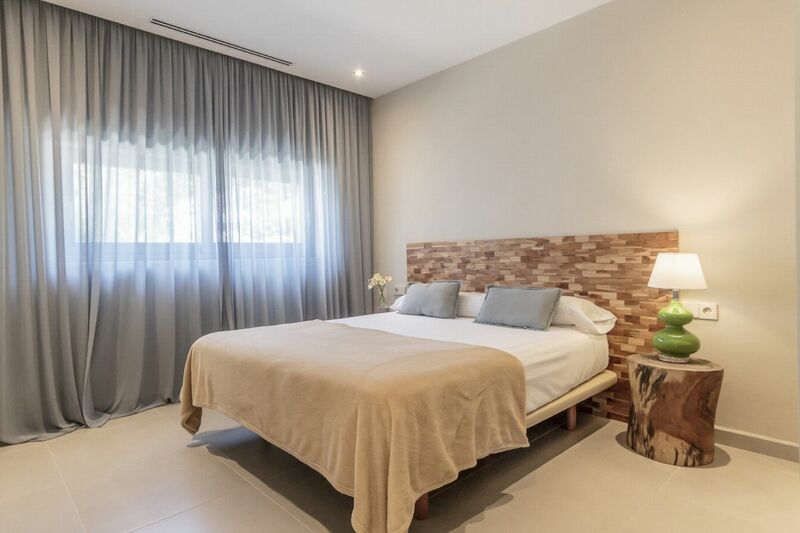 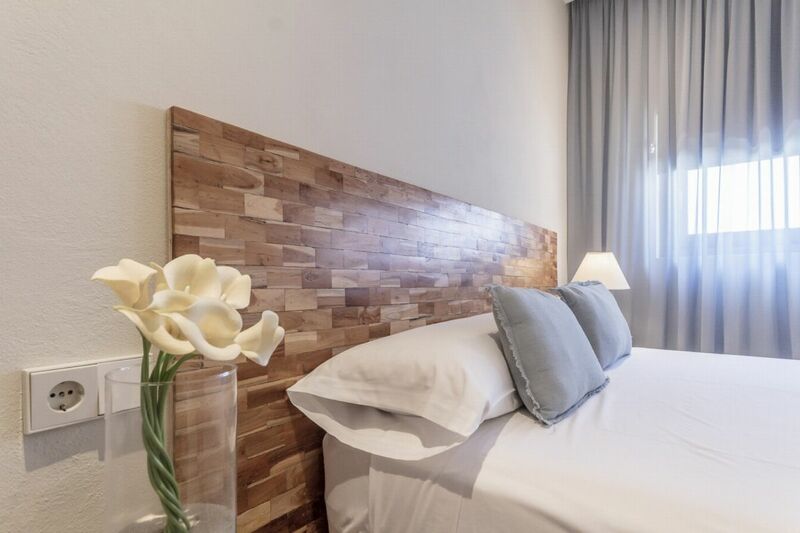 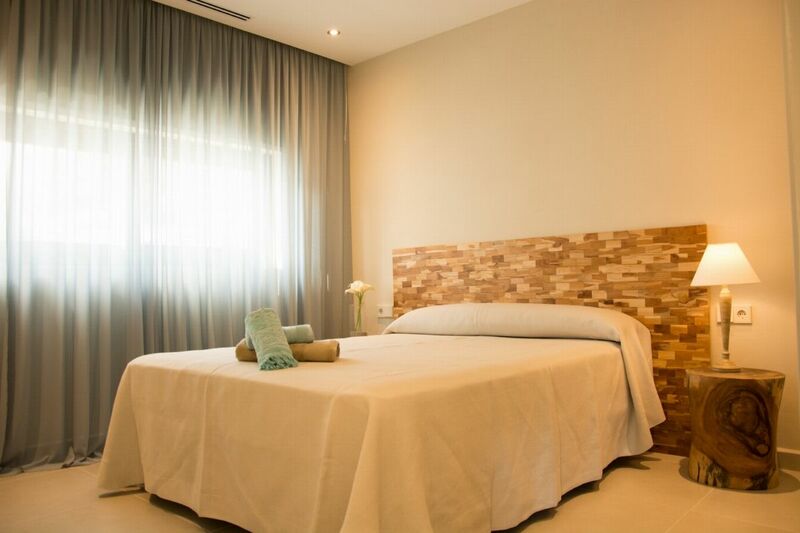 Master bedroom - King size bed, ample storage, air conditioning, en-suite bathroom with bath and a walk-in shower, micro cement finishes, private terrace. 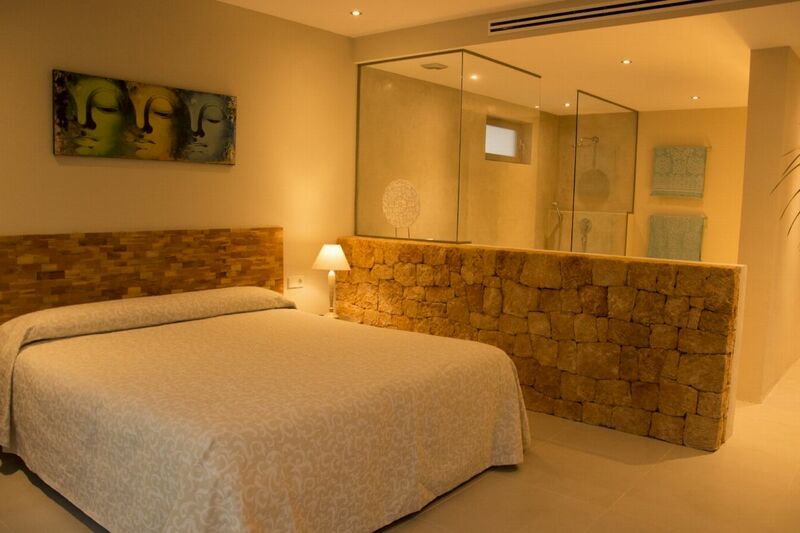 Double bed, ample storage, air conditioning, shared bathroom. 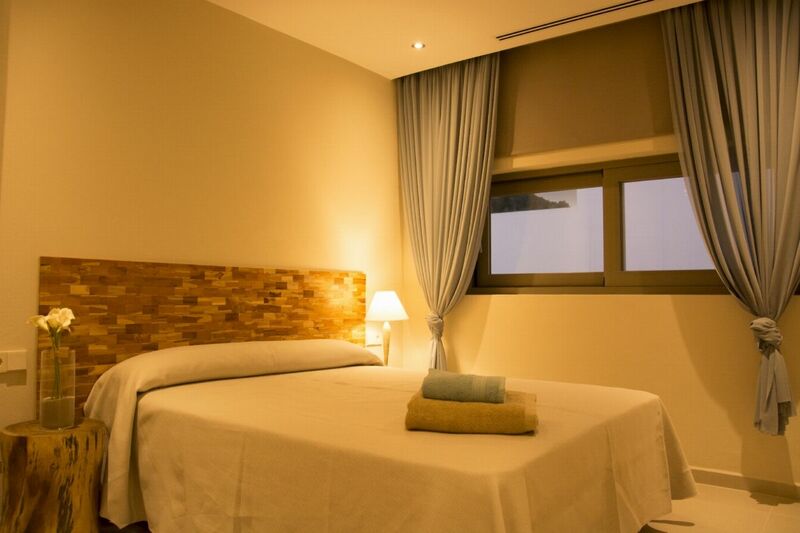 Double bed , ample storage, air conditioning, shared bathroom. 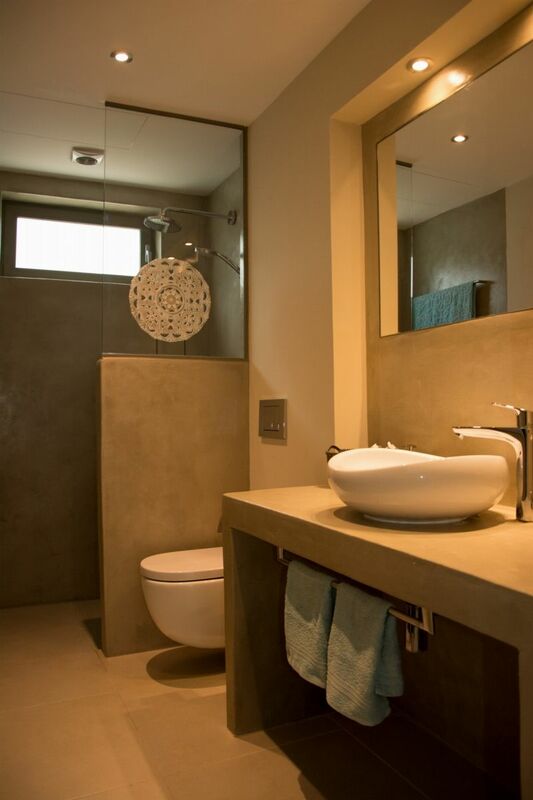 Micro cement finishes, walk-in shower and bathtub. 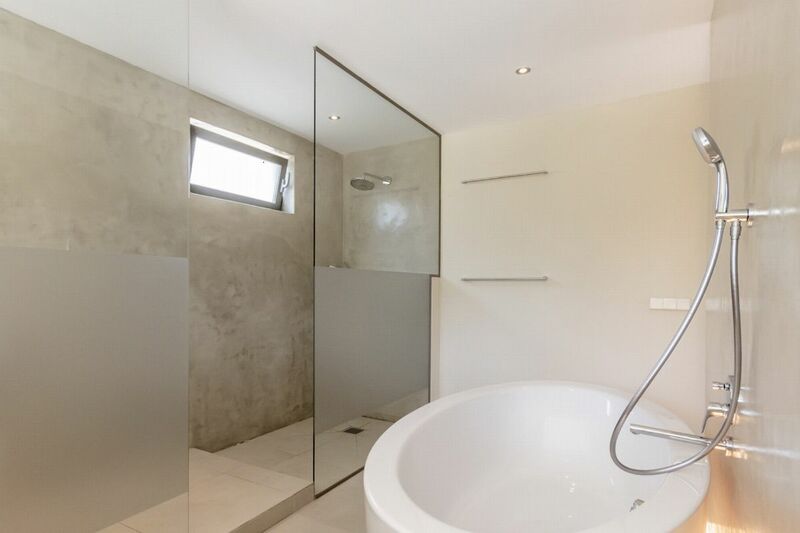 Micro cement finishes and walk-in shower.